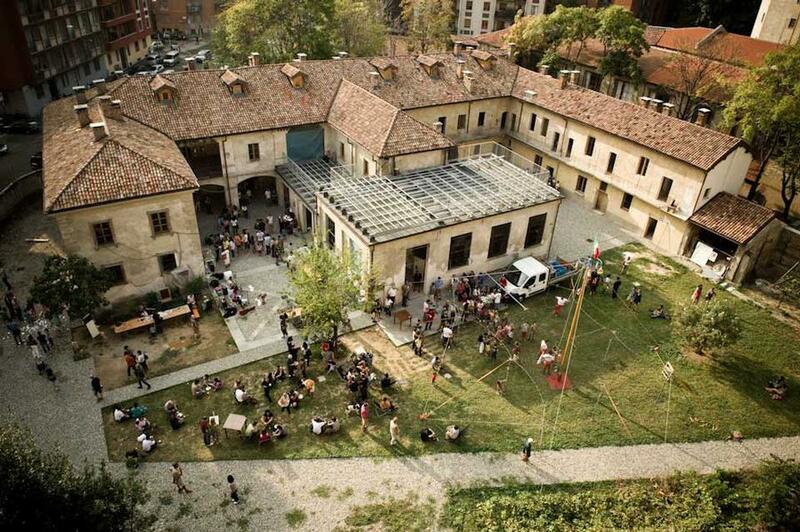 A new public space in the centre of Milan: an old farmhouse transformed into centre for place development and civic participation. Cascina Cuccagna is one of the oldest farmhouses in Milan, dated 1695. This farmhouse was originally dedicated to agriculture, but it became then the first Milanese farmhouse having multiple uses, combing both residential and productive functions. In 1984 it became property of the Municipality: this was the first step toward its decline, so that Cascina Cuccagna has been vacated and declared unfit for use. As a result of such neglect, a group of Zone 4 residents has created a “network of skills, energy, professionalism and resources”(Vicari Haddock and Moulaert, 2009, p. 213) in order to develop a project to restore the farmhouse. This group of residents have founded in the late 90’s the ‘Cuccagna Cooperative’, a sort of collective actor who has been working to bring to the attention of other citizens and institutions the case of Cascina Cuccagna. Above all, they have taken the responsibility of elaborating a real ‘action-plan’, including a restoration project of the farmhouse and its garden, involving a group of city planners, architects and engineers. The birth of the ‘Cuccagna Cooperative’ represented the first spark of a wave of urban activism that has created, in 2005, the ‘Consortium Cantiere Cuccagna.’ Today, Cascina Cuccagna aims to become a permanent laboratory for civic participation and a new public space to welcome and support the creativity of individuals, groups and associations by offering spaces, equipment and collaboration. There is a restaurant, a hostel, a zero-mile food shop, a carpenter’s workshop, a do-it-yourself bike repair place, a vegetable garden, and many other temporary activities run by citizens. To reach this objective, the farmhouse is currently organizing residency opportunities for original projects sharing the same mission, offering its space to the community. The ‘Consortium Cantiere Cuccagna’, a network of local associations, representatives of the third sector, cultural and social organizations that connect to manage the space and the activities provided within the old farmhouse. This Consortium is composed of 10 associations, among them there are: Associazione Cooperativa Cuccagna, Esterni, Chiamamilano, Cooperativa Sociale Diapason onlus, Terre di mezzo and many others. The most important one is the Associazione Cooperativa Cuccagna, because it is the result of a group of citizens that, several years ago, created a movement to defend the old farmhouse from abandon and decay. Thanks to their activism, the farmhouse has been revived and now it is now it is a green oasis in the centre of the city. This association is the leader of the Consortium, its main purpose is to keep the official mission of the farmhouse strictly connected to social values, in order to do not loose the original activist spirit that characterized Cascina Cuccagna. The Cascina Cuccagna emerged from the bottom-up, but since the beginning it was characterized by explicit use of design and architecture, that is evident in the restoration project. A group of city planners, architects and engineers was involved and in a way it is possible to argue that they transferred their conservative sensitivity into the farmhouse, which is currently quite similar to the original one. Furthermore, the Cascina hosts every year some events of the Milan Design Week, opening its space to young designers that want to exhibit their products, in general furniture made of sustainable materials. The effects of these exhibitions are visible in the interior design of the farmhouse, both in the rooms and in the restaurant, that use this kind of furniture and mix recycle and with a “radical-chic taste”. The explicit use of design is also evident in the big courtyard, where the outdoor furniture is specifically designed and built for creating a welcoming and comfortable public space. Service design is present in a less explicit way: many activities run within Cascina Cuccagna may be viewed as actual ‘collaborative services’ (sharing objects and skills, time banks etc.) that are “designed” by citizens who want to offer useful and effective initiatives within the neighbourhood. Finally, participatory design informs all the activities provided within the Cascina: the call for projects offering residencies opportunities for citizens having interesting proposals represents an evidence of the intention of co-designing and co-producing with people the initiatives and the services of the Cascina.